So, what is, "What she/he said Wednesday,"? It's a new improved day of the week series which people post their most inspiring or interesting Quote from an Author or an extract of a book that you adore. Basically any quote that stuck to you and would not let you go. It's a fun way to see what people think. 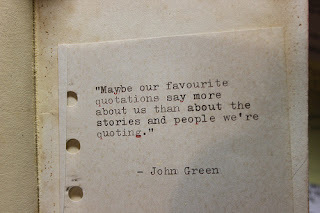 And I have the perfect quote to start it all.